Documenting + Painting Life’s Greatest Blessings. 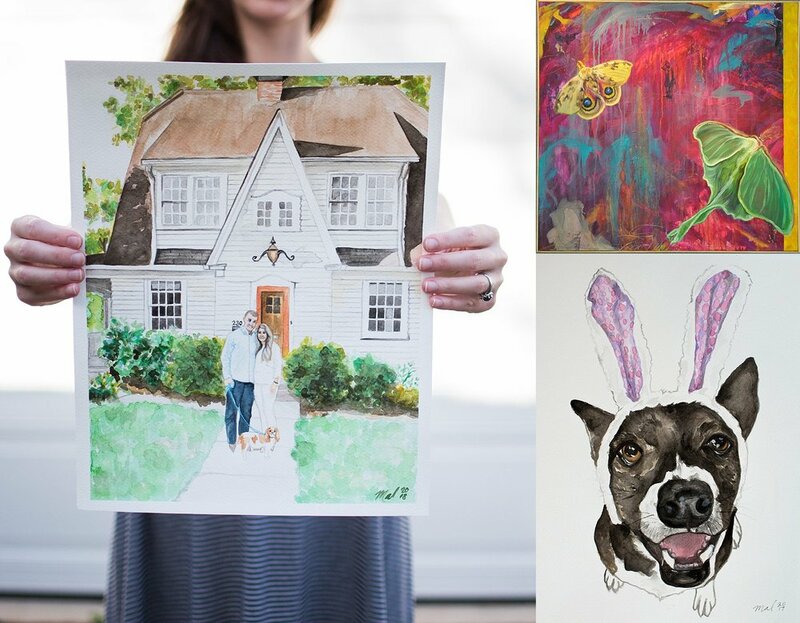 I offer custom paintings of your family, pet + home.It is my greatest pleasure to create something you can hang on your walls and treasure forever. I offer photography sessions for families, couples, children, and newborns. I strive to document your story honestly + truly. As an artist, I offer a variety of services to customers + clients. I also do it because it fills me up and I simply love to paint. Your life is beautiful. Let me document it. Hang with me on Instagram.